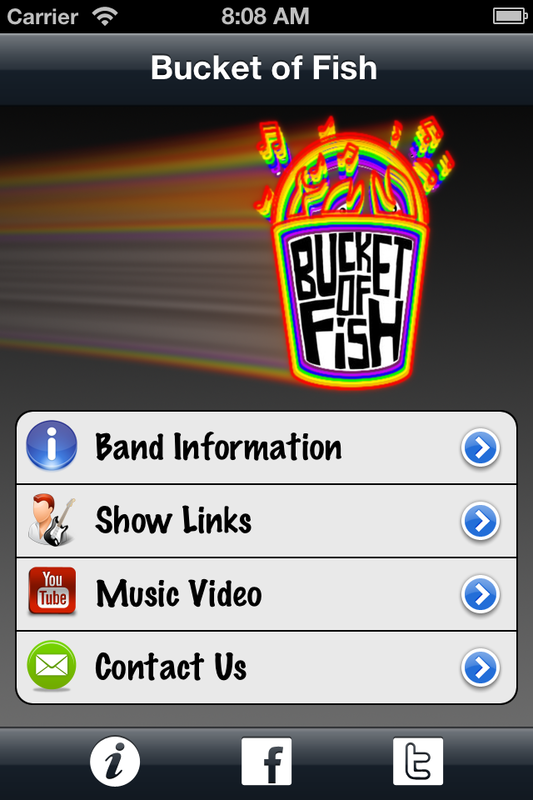 Get exclusive content from the official Bucket of Fish app! 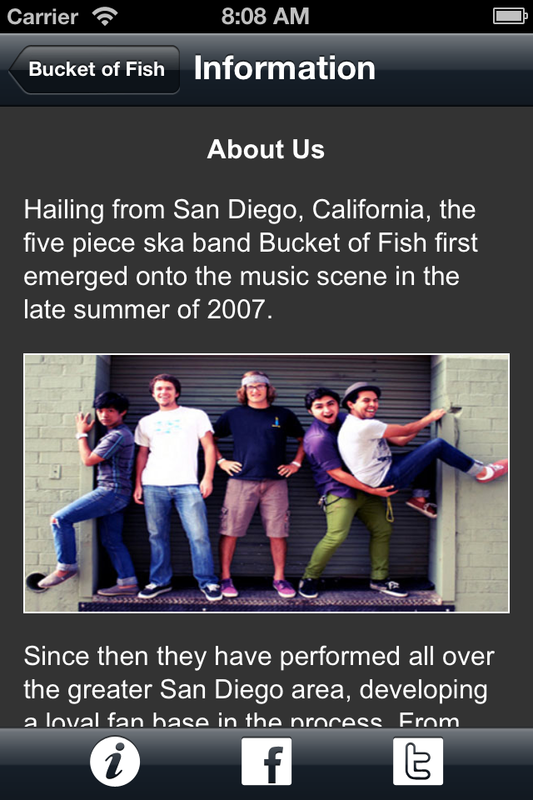 Hailing from San Diego, California, the five piece ska band Bucket of Fish first emerged onto the music scene in the late summer of 2007. Since then they have performed all over the greater San Diego area, developing a loyal fan base in the process. From county fairs to house parties and everything in between, Bucket of Fish has played all styles of venues with audiences ranging from less than a hundred to over two thousand. 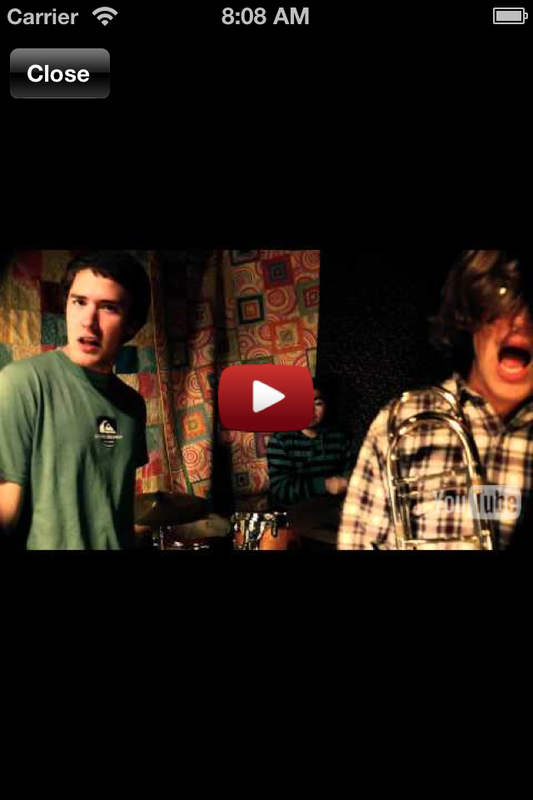 With a healthy blend of punk rock and ska, audiences of all ages find themselves dancing along to the unique style of music that Bucket of Fish brings to the table. In the winter of 09, they released their debut self titled album and have been one of the hardest working bands on the scene. 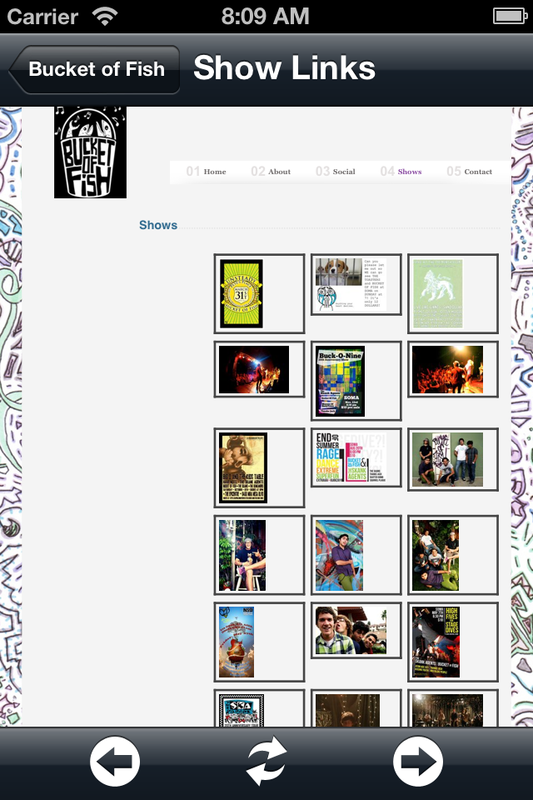 Bucket of Fish is currently attempting to play as many shows as possible to further expand their fan base and share their music with new audiences, where ever they may be.